Join a Wild Work volunteer project. These projects are one-time and require no other commitment. These opportunities usually require an ongoing commitment. Native Seed Garden Steward Commit to at least one season of stewardship (March/April – September/October). Must be at least 18 years of age or accompanied by an adult. Adopt-a-County Road Program Two year commitment. Pick up litter at least twice a year. Must be at least 12 years old. Adopt-a-Trail or Park Two year commitment. Pick up litter at least four times a year. 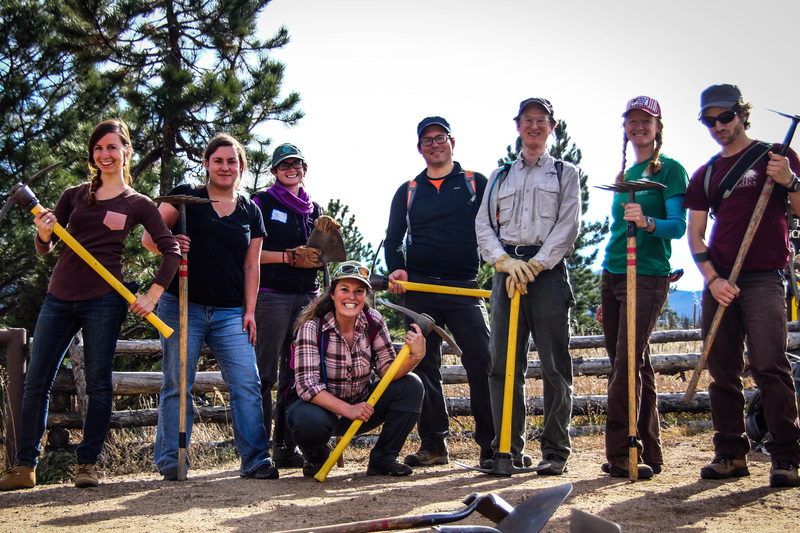 Is your group, club, business, or team looking for a volunteer project on open space? Then consider a Custom Group Volunteer Project or the Partnership Program. 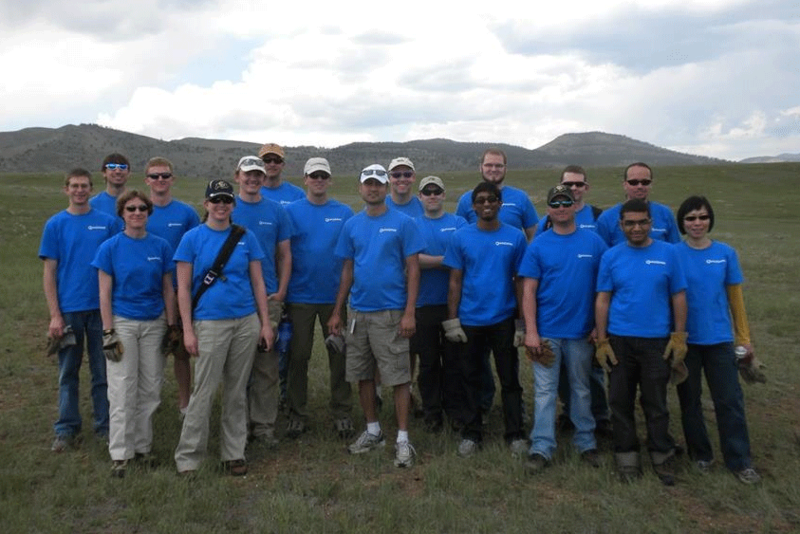 Get your team out of the office and into the open spaces by scheduling a custom group volunteer project. Half or full day projects can be created for groups of 8-40 volunteers. We are forming alliances with businesses and organizations to build a community-based stewardship ethic for the preservation and care of our open space, parks and trails. See a list of all the ongoing volunteer opportunities with Parks & Open Space including those that are not listed above. You can apply for any position at any time of the year. However, most positions only accept new volunteers at certain times of the year because of training schedules. Each year, volunteer projects and programs attract a diversity of people, creating a community of empowered and educated residents. Our volunteers get hands-on opportunities in land stewardship and public education. Involving volunteers makes our department stronger and more productive. Volunteers are an integral part of a thriving community and they make a tremendous impact on the quality of life in Boulder County. Sign up to receive email updates about volunteer projects and other volunteer opportunities with Parks & Open Space.